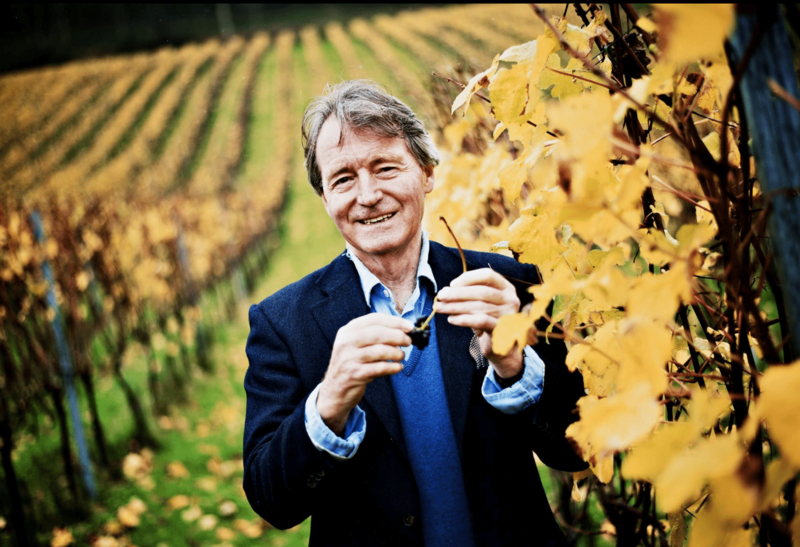 After 50 years in the wine trade, Steven Spurrier, inspired by the unique chalky soils on his wife Bella’s Dorset sheep farm, decided to join the English sparkling wine revolution. 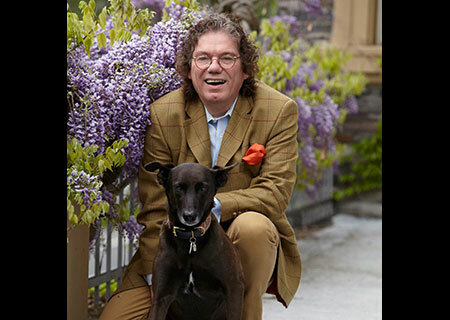 He enlisted the help of Jean-Charles Boisset and the expertise of Boisset’s sparkling production team in France to establish his new endeavor. In 2008, they selected 13 of the finest Chardonnay, Pinot noir and Pinot Meunier clones from Burgundy’s famous Pépinières Guillaume vine nursery to match each individual plot. Now the farm has more than 24 acres under cultivation and produces three delicious wines from the limestone-rich, chalky Kimmeridgian soils above the beautiful Dorset village of Litton Cheney. Some 42,000 vines are closely planted on mostly south-facing slopes on their 200-acre farm on South Dorset’s Jurassic Coast. In 1691 Domaine Valentin Zusslin was founded in the southern part of the Alsace region. 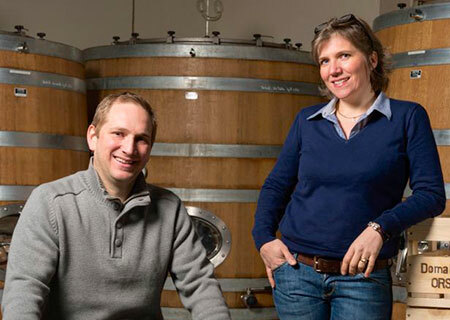 Since 2000 the 13th generation, brother and sister, Marie and Jean-Paul Zusslin have co-managed the domaine. The climate – warm, sunny, and dry – ensures slow, extended ripening of the grapes that in turn favours the development of extremely elegant aromas in the finished wine. The estate owns vines in Bollenberg, Pfingstberg (a Grand Cru), and a single vineyard monopole Clos Liebenberg. The domaine was certified biodynamic by Demeter France in 1997. These practices have imbued the whole vineyard with a huge development of biodiversity. The harvest is done exclusively by hand, selecting only well-matured fruit. The cellar work is minimalist with no interference in the natural process of the fermentation. The cuvées are aged on the fine yeast lees in oak Alsatian foudres and oak barrels for the red wine. The Ambroise family settled in Prémeaux-Prissey, near Nuits-Saint-Georges, 300 years ago. 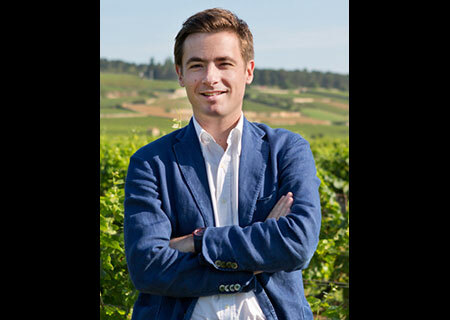 Bertrand Ambroise studied viticulture and winemaking and then traveled to Champagne and Cognac to learn the approaches of other regions. 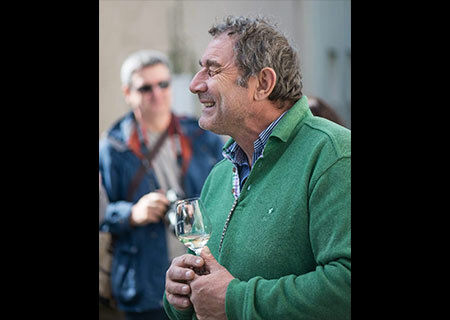 In 1987, he created the house of Ambroise, a négociant that also draws on the family’s 40 acres, which includes two Premier Crus in Nuits-Saint-Georges. They now produce 11,000 cases a year with bottlings of Chardonnay and Pinot noir. 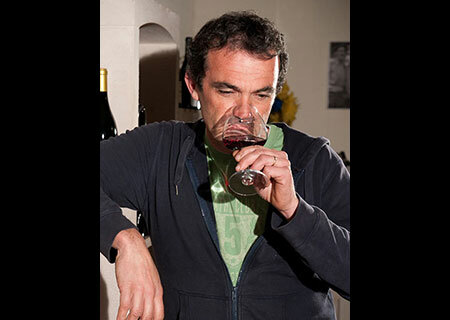 Bertrand views winemaking as a dialogue between traditionalists and modernists. The domaine of Château de Chamirey is planted in the best terroirs of Mercurey, covering 95 acres, of which 38 are located amongst the most renowned Premiers Crus of the appellation. The domaine consists of 37 hectares (27 reds, 10 whites, 15 of which are Premier Cru) reflecting the diverse soils and microclimates found within the Mercurey appellation. The whites are fresh, lively, and well-balanced. Château de Chamirey red is true indulgence. It has a silky texture, and is very fruity, typically showing the flavour of cherries. The estate includes six big plots of Premier Cru in the village of Mercurey, which is almost half of the village’s agricultural area. The château overlooks the village of Chamirey and was built in the 18th century. The 6.25 acres of Domaine de la Ferté, of which 2.5 are amongst the most renowned Premiers Crus of the appellation, are planted with 10,000 plants/2.5 acre, according to Burgundy tradition. This is the most important density, compared to all other wine producing areas, and a practice that guarantees high quality wines. Vineyards are run in a reasoned wine-growing way. The average age of the vineyards is 35 years old. The grapes are hand-harvested, then sorted out before going in vats, in order to eliminate the immature and damaged ones. Vatting is long and divided into three steps: pre-fermentation maceration, maceration, post-fermentation maceration. The wines are then aged mostly in oak barrels (around 18 months), of which a quarter is changed every year. The wines are bottled when they are on their fruit and flower primary aromas. It was in the late 1970’s that Maison Fougeray de Beauclair came to life by the acquisition of renowned appellations in the Côte de Nuits and the Côte de Beaune, such as Bonnes Mares Grand Cru. Maison Fougeray de Beauclair’s philosophy is based on “top quality.” By employing such methods as limited output, strict sorting of the grapes, vinification under heat control, and maturing in new or recent barrels, they have made it possible for the different appellations to hold the top ranks among the most famous Burgundian domaines. These methods have enabled Maison Fougeray de Beauclair’s wines to be offered in the finest restaurants, cellars, and specialty shops throughout the world. Louis Jadot was founded by Louis Henry Denis Jadot in 1859. The first vineyard bought by the Jadot family is the Beaune vineyard, Clos des Ursules, in 1826. The family wine company produces and markets Burgundy wine. It operates both its own vineyards and buys grapes from other growers. It controls 270 hectares (670 acres) of vineyards in Burgundy (including Beaujolais Crus), and produces only Appellation d’Origine Contrôlée (AOC) wines. Louis Jadot also owns vineyards in the Mâconnais region: Domaine Ferret in Fuissé and in the Beaujolais region in Moulin à Vent: Château des Jacques. 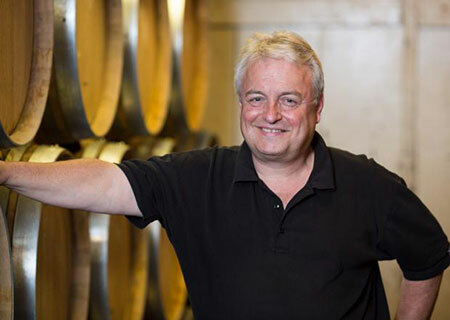 In 1996, Louis Jadot partnered with Tonnellerie Vicard and created its own cooperage called Cadus, in order to produce French oak barrels crafted in the Burgundian tradition. The Domaine is situated in Echevronne, a small village in the hills outside Beaune. Jean-Michel and Chantal, two of Lucien’s children run the estate together with Christine, Jean-Michel’s wife. The Domaine comprises 17 hectares: Bourgogne Hautes Côtes de Beaune, Savigny les Beaune village and 1er Cru, Pernand Vergelesses 1er cru, Beaune 1er Cru, Chambolle Musigny, and Gevrey Chambertin. Viticultural methods are sustainable and respectful of the environment. The grapes are all handpicked, sorted, and 100% de-stemmed. The red wine is matured in oak barrels varying from new to four years old and bottled at the estate with a light filtration over clay plates. The white grapes are pressed whole with direct fermentation in oak barrels for the Chardonnay and in steel tanks for the Aligoté. To ensure high quality grapes, Rodet has embraced the concept of “viniculture”, a word which is the contraction of “vinification” and “viticulture”. The function of a viniculturalist incorporates two distinct and essential phases in winemaking : work in the vineyard and in the cellar. 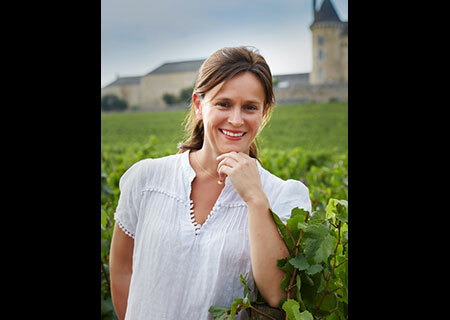 Anne-Laure Hernette is the viniculturalist and ambassador. She creates the blends and guarantees the consistency of quality and style. She also chooses the best available grapes. She works hand-in-hand with Georges Piazzon, the estate vineyard manager and his team to follow the vine development and gives advice on viticultural practice. Rodet cultivates the vineyards of the Domaine du Château de Rully and they are responsible for their exclusive distribution around the world. The winery is situated just a few metres from the Clos Antonin Rodet as you enter the village of Mercurey. Domaine de Villaine is located in Bouzeron, nestled in the Côte Chalonnaise region between Chassagne-Montrachet and Santenay to the north and Rully and Mercurey to the south. Planted with vines by the monks of Cluny in the Middle Ages, this small, sunny valley has a rich and lengthy tradition of producing quality wines which reflect their exceptional terroir. Here, vines are grown exclusively on the slopes : the nutrient-poor, limestone-rich soil allows precise yield control, while a warm microclimate favors ripening of the grapes. To respect the natural balance and interaction of the soil and vines, they use no pesticides or herbicides, and fertilizer use is restricted to organic vegetal compost. 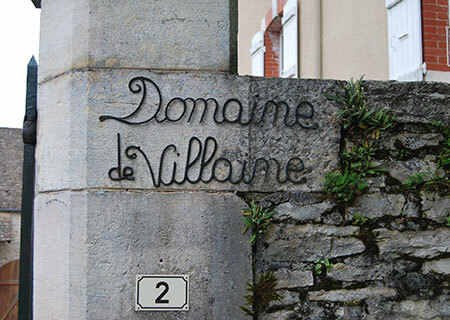 To create a wine that rises to the potential of the varietal and the terroir, Domaine de Villaine controls its yield through selective planting and a regimen of severe pruning and occasional pre-harvest thinning. Established in 1812, Champagne Laurent-Perrier has a long tradition of innovation in Champagne and can be credited with many of the ideas that have defined Champagne production since the mid-20th century. Laurent-Perrier was among the first to introduce stainless steel fermentation tanks to the region in the 1950s, resurrected the non-dosage Champagne category with the introduction of Ultra Brut in 1981, and sparked the revival of non-vintage rosé Champagne in 1968. 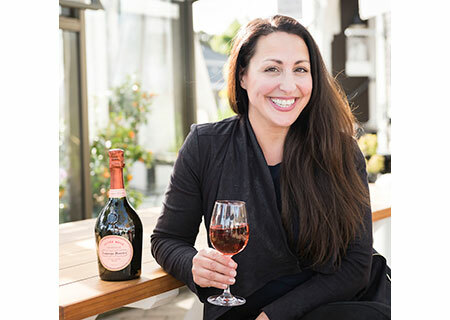 Today, Laurent Perrier’s iconic Cuvée Rosé remains the benchmark for non-vintage rosé champagne. Laurent-Perrier’s house style emphasizes freshness, elegance, and finesse across its entire range of champagnes. Laurent-Perrier has become one of the international leaders in Champagne based entirely on the quality of their wines and their core values as a company. 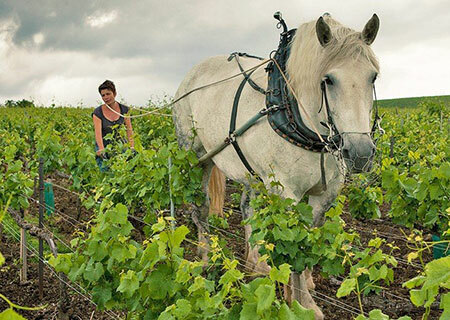 Laurent-Perrier is still a family controlled business and makes nothing other than champagne. Originally founded in 1776, Champagne Louis Roederer continues as one of the very rare Champagne houses to remain firmly in the hands of the same family, since 1832. For three centuries, seven successive generations have been responsible for building a reputation for unparalleled quality and continuity. Its focus on meticulous viticulture, best demonstrated with an ongoing conversion to organic and biodynamic vineyards — totaling 593 acres — accounts for the House’s success and enduring excellence, spanning its non-vintage Brut Premier to the highly prized Cristal cuvée. Remarkably, 100% of the House’s vintage-dated wines are estate-produced. The Malat Winery, located on the south bank of the Danube River in the Kremstal district of Austria, has been producing exceptional wines since 1722. 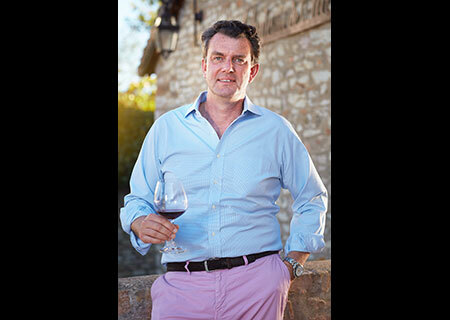 Ninth generation winemaker Michael has continued this tradition, taking over the fifty hectare estate from his pioneering father Gerald in 2008. 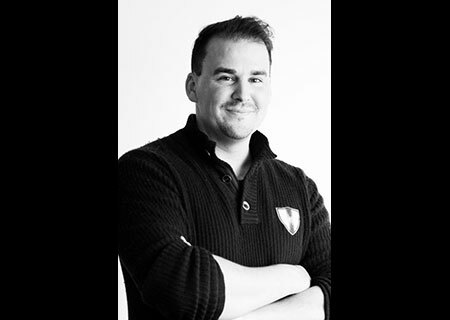 Michael studied horticulture in Vienna and developed his mastery of viticulture internationally. Located in Palt, the Malat Estate borders the famous Wachau wine-growing region on the west and stands on the historic geographical hillside Gottweiger Berg. Benefitting from a microclimate regulated by the Danube River, with hot days and cool nights, Malat’s wines show a singular spiciness. Vineyard sites are hand-worked, with organic and sustainable practices integral to the winemaking process. A modern boutique hotel opened in 2012, offering guest rooms and dining situated directly upon the beautiful vineyards of this historic and prestigious estate. At Weingut Friedrich Becker, the goal is simple yet ambitious: to create the best possible wines from their outstanding soil and terroir. To achieve this goal, a winemaker has to be in tune with nature. For Friedrich Becker, the wealth of creation is not merely the basis of their work, but an inspiration. Every year they are presented with new challenges and unique requirements that inform the personality of each vintage – this is what motivates and leads them on a path of continuous learning. The sum of all insights throughout the decades has enabled them to create some truly outstanding wines – for which they are thankful, and will continue to strive to perfect their craft. Wine, its cultivation and production, and even the way it’s enjoyed, will continue to evolve, and they are looking forward to bringing the joy of Becker wines to many more generations to come. Just a few miles from the French border, in Germany’s southernmost region of Baden, Joachim Heger farms the extraordinary grand crus (Grosses Gewächs) of Ihringer Winklerberg and Achkarrer Schlossberg. Joachim Heger’s grandfather, Dr. Max Heger, was a country doctor in Ihringen. He established Dr. Heger estate in 1935 and bought vineyards in the “Ihringer Winklerberg” and the “Achkarrer Schlossberg”, which are recognized as the best sites in the “Kaiserstuhl”.On the steep slopes of the volcanic Kaiserstuhl, Joachim gives voice to unique, delicious, age worthy expressions of Pinot noir (spätburgunder). For close to 40 vintages, his work has revolutionized the way we can interpret the potential of this ancient wine region. Burgundian varieties thrive here, beneficiaries of a startlingly warm climate, where sun-baked volcanic hills are crowned with wild cacti. 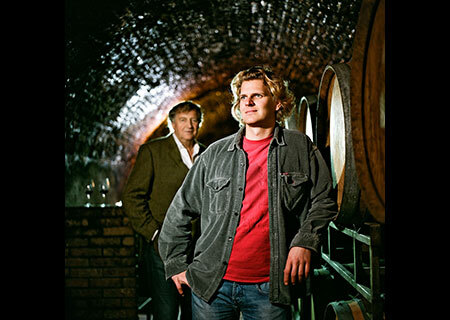 Joachim made a name for himself and for Baden with Pinot noir, but he also embraces classic Germanic varieties, such as Riesling and Silvaner, by allowing each to work its magic on the unique volcanic and loess soils. The results are supremely fresh, energetic wines of unmistakable depth and character. Described by World of Fine Wine as “one of the most important wine producers in Germany of the past 20 years” Bernard Huber’s small, family owned estate sits to the east of the famous Kaiserstuhl in the Baden village of Malterdingen. Huber wines are often mistaken for Burgundy due to the cool, wet Malterdingen weather and its limestone soils, which are very similar to those found in the Cote d’Or. Records show that Cistercian Monks brought Pinot noir to Malterdingen almost 700 years ago, planting the Wildenstein parcel in the Bienenberg vineyard. As today’s Burgundian Grand Cru sites prove, when it comes to Pinot noir, the Monks had an eye for terroir. 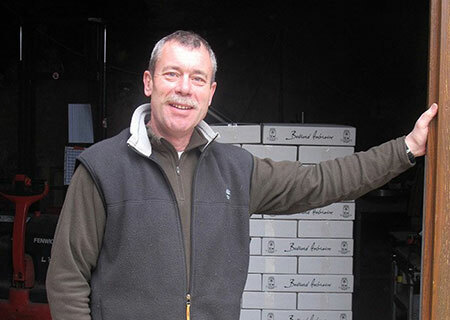 Today the estate is run by Bernard’s son Julian Huber, with the same winemaking team that was there in Bernard’s time. 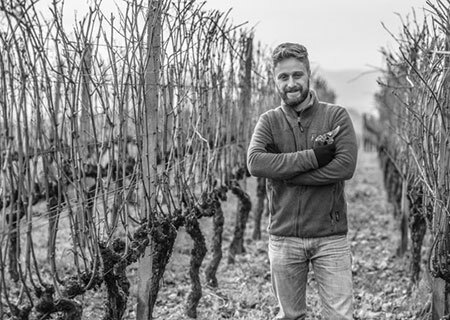 The more vintages the young Julian Huber gets under his belt, the more it becomes obvious what a gifted winemaker he is. For Ernst Loosen, taking on the J.L. Wolf estate was déjà vu all over again. As with Dr. Loosen, he seized the opportunity to revitalize a neglected wine estate blessed with excellent vineyards. Founded in 1756, in the Pfalz region of Germany, the J.L. Wolf estate (now called Villa Wolf) was a successful and highly regarded winery for more than two centuries. It entered an especially glamorous era with the construction of its Italianate estate house and villa in 1843. The goal at Villa Wolf is to produce wines that express the pure, authentic terroir of the Pfalz. Since 2011, the estate has been managed by a talented and dedicated young team that previously worked at Dr. Loosen. Sumi Gebauer and Patrick Möllen­dorf have brought renewed energy and focus to the viticulture and winemaking at Villa Wolf. They employ sustainable viticultural practices and emphasize gentle handling of the fruit through traditional, minimalist winemaking.